Is this your first time buying paracord? Maybe you've seen the survival rope popular movies like Mad Max, or you've heard about it from your friends and want to start putting together bracelets or a bug-out-bag. Whatever the case, you want the best deal on paracord. The best place to buy paracord these days is on the web. Sure, you can still buy paracord at a hardware store or sporting goods store, but you won't get the low prices, the quality, or the variety of colors that you can find on the Internet. Maybe none of those things matter to you. If not, go ahead and buy cheap paracord at a premium price from big name stores. I can't stop you. 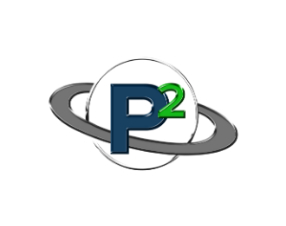 If you decide that the best quality, variety, and prices can be found on the Internet, that hardly narrows your search. The Internet is a big place! You can search the web for hours and still not be sure you got the best deal. Even if you limit your search to Amazon, you could spend endless time comparing options, features, and the reliability of each seller. Amazon takes the best of online retailing and puts it all in one place, right? Yes and no. Amazon does a great job of giving online retailers healthy competition, which gives you lower prices on many items. While Amazon is a great place to shop, it doesn't ALWAYS give you the best deal. They need to make a profit, just like anyone else--so they sell some things at a slight markup. For paracord, this means the cheapest place to buy is directly from online retailers, like Paracord Planet. Why Buy from Paracord Planet? I'm glad you asked. 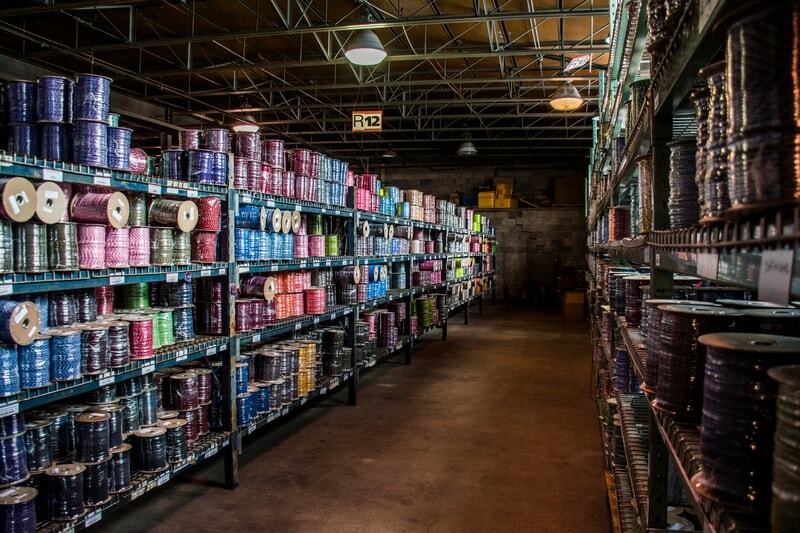 There are a few reasons that make Paracord Planet the store that is best able to meet your survival and crafting supply needs. 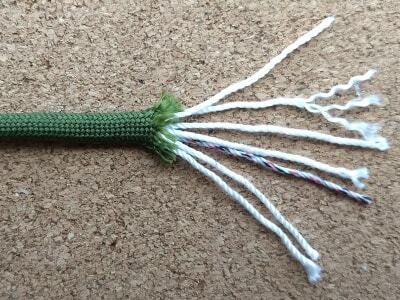 Our paracord is made in the USA. While we realize that does not automatically ensure quality, we believe that the country that invented paracord also produces a majority of the quality paracord available today. We offer the real C-5040H Type III mil-spec paracord for those that will settle for nothing less than the best--at a lower price than other sellers. Not only does Paracord Planet have one of the widest color selections of paracord, we carry more types and varieties of paracord than most anyone else. Here you can find micro cord, 550 cord, paramax, battle cord, and anything in-between. We also offer special varieties like mil-spec, survival cord, reflective, and coreless that many other stores do not have. For our current paracord types and colors, check out our easy-to-use color chart. Our prices are unbeatable. 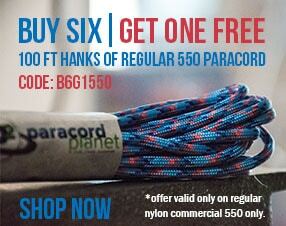 When you factor in our free shipping on any order above $5.99, no one has lower prices for USA-made nylon paracord. Other online stores have competitive retail pricing, but they don't offer free shipping, unless you spend over $50! While our service is last on this list, it is in no way unimportant. Have you ever ordered something from Amazon or another online store, only to have the item take forever to ship, or better yet, never ship at all? If we make a mistake on your order, we are committed to promptly resolving the issue and getting you the items you ordered. Where do you think is the best place to buy paracord? Have you found lower prices for the same value anywhere else? Comment below and be entered to win our Free Hank Friday giveaway. Last week, Kyle Linder won 100ft of 750 paracord! 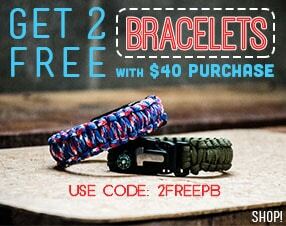 Want more information on paracord, such as helpful tutorials and exclusive coupon codes each week? Subscribe to our newsletter!